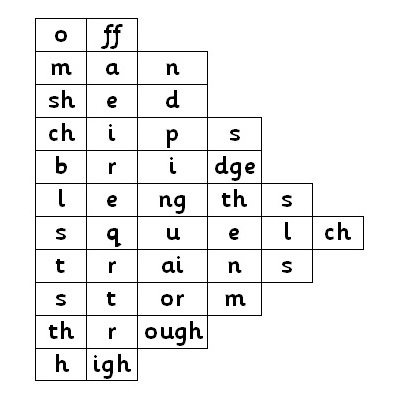 Elkonin boxes are boxes drawn to represent sounds in words, or sometimes syllables in words. They're named after a Russian psychologist who first used them to help learners segment spoken words into sounds. However, traditionally they're used without letters, and just tokens are put into the boxes to represent sounds. These days we know that there's no reason to hear sounds in words other than to spell them with letters, and that it's best to knit letters and sounds together right from the start, so most people write letters/spellings in their Elkonin boxes. They're a great idea for helping learners "chunk" words into sounds and their associated spellings. And they're not too hard to prepare in an ordinary word processor with a table function, or just draw them on the board. 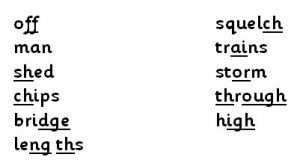 It's also easier to show "split" vowel spellings like the "a…e" in "make" and the "o…e" in "nose" using underlining rather than whole boxes. If you don't think dots are an explicit enough way to show the link between the two vowel letters, you can draw a solid line that loops under the intervening consonant and joins up their two underlines instead. 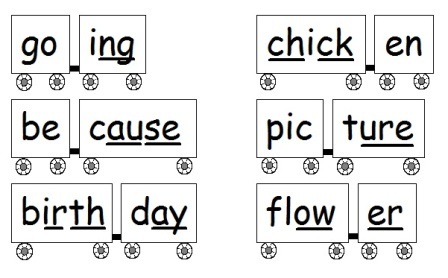 Perhaps a good way to combine these systems is to draw "Elkonin trains" with the spellings of single sounds underlined if they are more than one letter, and a box around each syllable, joined up to make a train representing the whole word. If I was better at drawing and worked with more very young children who need to be amused in this way, I'd probably get right into this. But most of my learners are older, fairly desperate and just want to cut to the no-frills chase. However if you like this idea, please feel free to use it. I'll just keep it in my back pocket till I come across a train-obsessed autistic student who is slow to learn literacy. This entry was posted in blending and segmenting, consonants, phonics activities, sound-letter links, sounds, spellings, syllables, teaching strategies, vowels, word attack on January 5, 2013 by alison.